Start your engines boys and girls, the Microsoft exclusive competitive-racing franchise is back. Returning to its roots with a more classic style of gameplay, Forza Motorsport 7 is in fact the series’ tenth installment. It’s been two years since we’ve seen a new installment of Motorsport, and this latest iteration comes packed with an immense amount of content. With over 700 cars to choose from, 32 locations, and a highly polished configuration system, Forza Motorsport 7 is refining the formula which makes the series so popular. 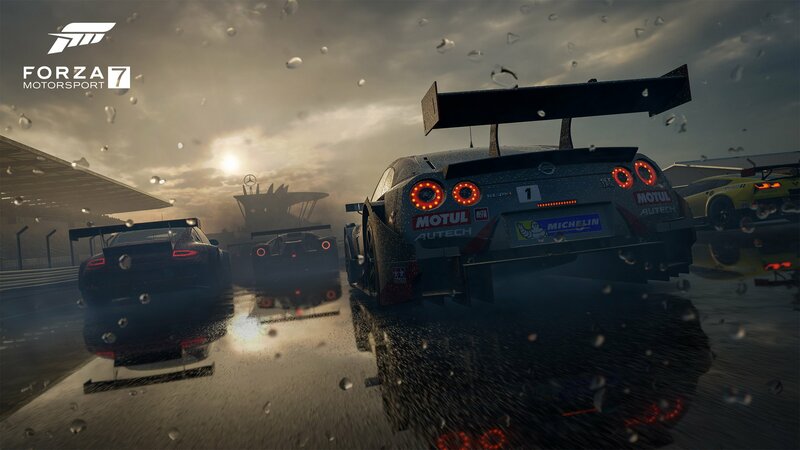 Expected to be something of a flagship title, Turn 10 Studios has been fine-tuning the game and working closely with a prototype of the new Xbox One X due out later this fall. Turn 10 is touting a native 60 fps in 4k resolution, key benefits supported by the upcoming console iteration. While a number of games will receive graphical updates with release of the Xbox One X, Motorsport 7 will be one of the few (as of right now) that was built by setting the new hardware as a standard – giving the player a raw demonstration of what the system can handle. This is not to say Forza will run poorly on an Xbox One, but that if you’re looking for the best Forza experience, it will be on the newer console. Forza Motorsport 7 is currently available for both Xbox One and Windows 10. The game retails for $59.99 USD (Standard Edition), $79.99 USD (Deluxe edition), and $99.99 USD (Ultimate edition). The Deluxe and Ultimate editions come with ‘bonus’ content (exclusive car bundles, modding features, etc) that will only be accessible through paid purchase. Fans who want to play Forza in 4k will have to wait another month until the Xbox One X launches late November.